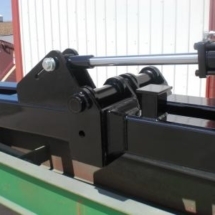 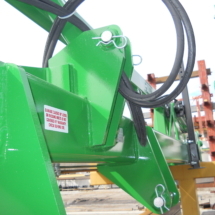 Our 35 degree vertical folding tool bars can be custom made for virtually any application. 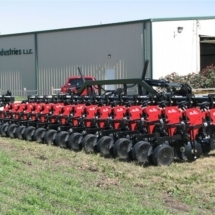 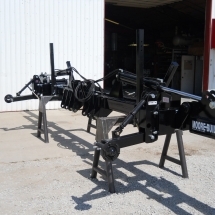 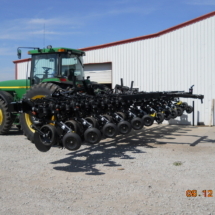 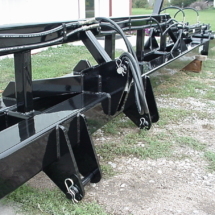 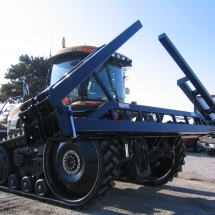 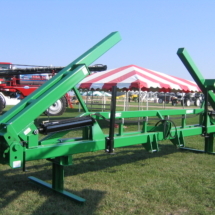 Welded 3 point hitch can be used for dual applications in side-dressing. 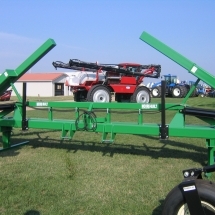 An extra set of hitch plates is added 15" off the row center. 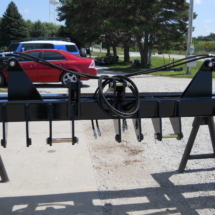 Full Welded 3 point hitch plates. 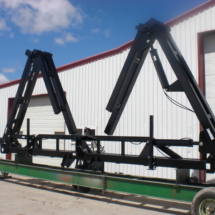 All 3/4" plate steel.